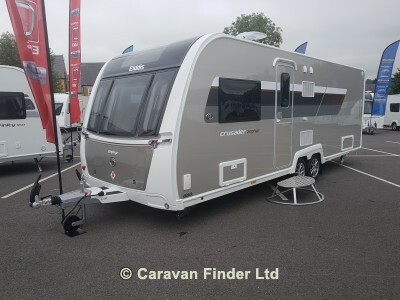 The Crusader Zephyr ia a twin-axle model with retractable transverse fixed bed at the rear and superbly spacious lounge up-front, separated by luxurious washroom and shower room amidships. This central area can be closed off from both the bedroom and from the living area, creating a true en-suite layout. A flexible option for couples and families alike. Order before Easter Monday and save £1000 OFF the retail price and also get a FREE Powrtouch Motor Mover.